What do you get when you use PostMyGarageSale.com? Here is how we get more buyers and more profits for you. Are you ready to post your sale? Posting your sale is risk-free. There is no cost to use this service. What sites will my sale information be listed on? 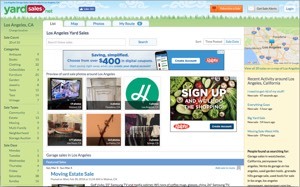 Your sale will be listed on these five trusted websites. 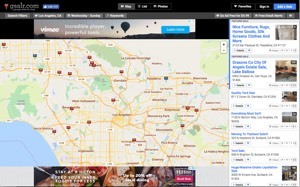 Gsalr.com is all about finding sales on a map. Also available on iOS and Android! YardSaleSearch.com is celebrating 20 years of providing yard sale listings to a loyal following. 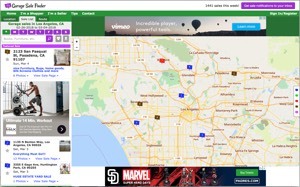 GarageSaleFinder.com is a mapping tool for locating sales near you. YardSales.net provides useful tools for locating sales and filtering for specific items. 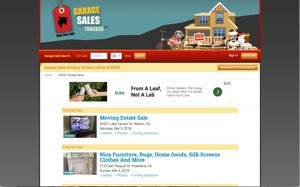 GarageSalesTracker.com makes it easy to locate sales in your local area. Still not sure if PostMyGarageSale.com can help you? We had so many people and some mentioned that they had seen the ad on gsalr. We had great stuff and everyone seemed happy with what they purchased. I will do it again when I have another in a month. We got a lot of traffic and it was so easy to post and put pictures. A lot of people came as a result of seeing it posted on the website. It reached a lot of people without having to advertise in the newspaper. I asked some people if they saw the yard sale online and they said yes. So, it must work! I had forgotten to put my signs out, but buyers were still able to find my sale because of of the app. I told a couple of people about the app today. Can I feature my sale to get in front of more people? Yes, for only $29.95 your sale will be featured both online and in daily emails. Do you list sales directly on PostMyGarageSale.com? No, we do not list sales on this site. 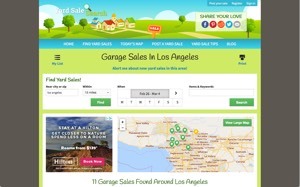 Our service allows you to post and manage your listing on the top 5 garage sale sites from one location. Your sale will be removed from all partner sites automatically within 15 minutes of deletion.